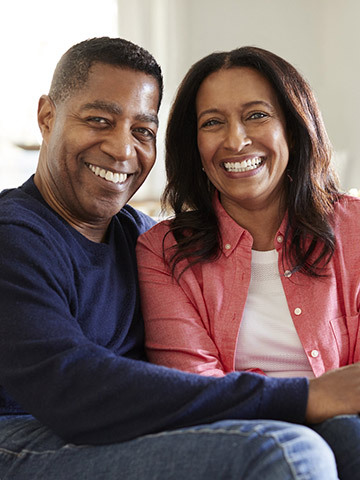 If you’ve lost a tooth, your dentist may recommend getting a dental implant to fill the empty space and allow for optimal function of your teeth. 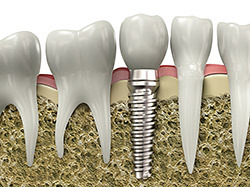 The dental implant itself is only a replacement for the root of the lost tooth, so after the implant has been placed, you’ll still need to get a restoration, or replacement tooth. Implants provide a strong foundation for fixed (permanent) or removable replacement teeth that are made to match your natural teeth.